I have been yo-yo dieting for years, and struggle with my love of food! but theres one diet that stands out for me, a diet that I lost 2 stone on at one point, if you stick to it it WILL work for you! ..The reason its so hard to believe? You can eat unlimited Pasta, Meat, Potatoes, Vegetables, Fruit…YES Unlimited!! I am more determined now than ever to get back to a healthy lifestyle and shift the excess baggage! so I have put together my very own Custom Slimming World Plan with meal suggestions and I thought I’d share it with you to give you a better idea of what you can eat and how simple it can be to make better lifestyle choices for yourself. You can eat as much Free food as you like! Free foods include potatoes, pasta,fish, meat,eggs & most vegetables and fruit – no weighing, no measuring, no counting, no kidding! 2 Healthy Extras per day 1 A Choice & 1 B Choice. 1 a Choice = 28g cheese or 350ml Skimmed Milk. 1 B Choice = 2 Slices Nible/ Wholemeal Bread Or 42g Bran Falkes / 28g Shredded Wheat or 2 Weetabix. **Syns, Syn Values, Free Foods, Healthy Extras & other food information can be found with ease Online, at Slimming World or through various blogs searches on the internet! There are many many options & everything has a syn value! No food is banned! Enjoy your favourite treats every day and still lose weight. 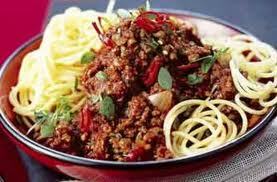 Dinner: Spaghetti Bolognese. Mince, Pasatta, Mushrooms, Tomatoes & Onions. Dinner: Pasta, Tuna, Extra Light Mayo (1/2 syns for a level tbsp) Sweetcorn? There are alot of speed foods and super speed food, choose them regulary and you’ll BOOST your weight loss. S=Indicates a speed food thats good value weighwise for slimmers. ***PLEASE NOTE: All the information here is given to the best of my knowledge! Please check it out if you are unsure. The Syn Values can change from time to time & these above were correct at the time I created my plan. Next Post The Cambridge Diet And How I survived on it! Thanks for this post. I’m joining Slimming world tommorow night. I have done it before and lost weight…its a great diet!